On Sunday, Manchester United face Liverpool in what could be the biggest Premier League game in both clubs’ seasons. Liverpool is currently sitting in the driver's seat in the title race and will want to continue their momentum at Old Trafford. The Red Devils, on the other hand, will want to do everything they can to thwart the Reds’ title challenge in a role reversal of the previous decade or so. These two clubs are the biggest ones in England, as well as in the world in terms of history. They are bitter rivals and more often than not, these matches are real battles. Therefore, it is not surprising that hardly any players have shared tenures at both Liverpool and United. There are only a handful of players who have done that, a complete rarity and something that might never, ever happen again. 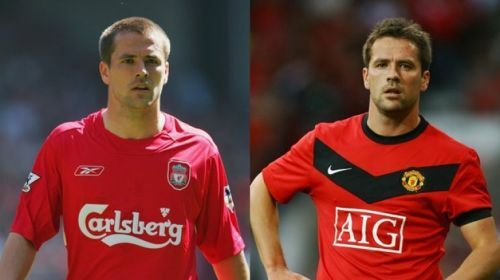 Here are three players who turned out for both Liverpool and Manchester United. Owen was a Liverpool hero. Michael Owen is the only player on this list who played for Manchester United after playing for Liverpool. The difference in spells is, however, striking. Owen rose to fame at the end of the 90s, with a couple of prolific seasons at Anfield and a stunning World Cup in 1998. Going into the millennium, he was the Reds’ clear talisman and led them to a cup treble in 2000-01. He even won the Ballon d'Or that year. The former Kop hero was pretty much the perfect striker, scoring 158 goals in 297 appearances for his boyhood club. 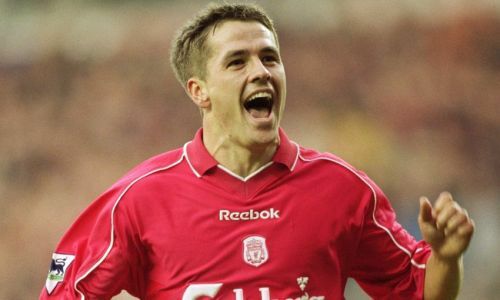 Owen left Anfield for Real Madrid in 2004, before moving back to England the following year, with Newcastle United. After many injury problems and even relegation from the Premier League, the striker seemingly cried out for a return to Liverpool. However, no interest was shown and Man United stepped up and swooped in for Owen. He spent the entirety of his United career as a backup striker but managed to get a couple of vital goals for the Red Devils and even won the Premier League in 2010-11 with them.